Saint-Saëns — The pronunciation of this name must first be addressed, or at least expressed. The two halves do not sound the same. There is an ever-so-slight difference, a distinct but subtly-more-open sound to the 2nd vowel, however one chooses to pronounce “sehn”. Much like his surname, subtlety and distinction mark the music of Camille Saint-Saëns. This French composer was born in Paris on 9 October 1835. He died in Algeria on 16 December 1921. He was a precocious child and a prodigy, beginning his piano lessons with his aunt before the age of three. He’d obviously gotten past those “terrible twos” in fine shape and with rather productive form. Studying composition at age seven was followed by his first concert at the age of ten. The lad played a bit of Beethoven, some Mozart, and, to lend this little virtuoso some variety, pieces by Bach, Handel, and Hummel. I’ve long believed that there exists or, rather, flourishes, a sublime affinity between music and mathematics, between the fine arts and the true sciences. Camille Saint-Saëns marvelously and naturally displayed that resplendent rapport. He excelled, happily, with ease, in languages and in advanced mathematics, in geology and in astronomy. Saint-Saëns wrote poetry and plays alongside the musical notes, the sounds and harmonies flowing quite capably from his esprit. The artistic development of this rare man proceeded apace in 1848 at the Paris Conservatory where, at the tender age of 13, he was trained in playing the organ and he studied composition. He composed two symphonies during his early twenties, fortuitously finding himself and his métier. He then went on to find recognition from the musical luminaries of this era: Berlioz, Liszt, Gounod, even the fast and furious composer of opera, Rossini. I find it noteworthy that Camille Saint-Saëns adapted the musical style of Liszt to the French traditions of harmony and form, while also adhering, with ardor, to the musical structures that had been hammered out by much-earlier French composers. The solitary genius in this student never outgrew the teachers of classical form, even as the adult composer grew into an innovative teacher who harkened back to old forms such as the bourrée and the gavotte. He was traditional and yet astounding original in each of his prolific pieces. He was also so unique in his talents that he was able to abide the classroom for less than five years, teaching at the École de musique classique et religieuse in Paris. The academic environment, even then (especially then), was stifling for creative minds. It is often difficult for the prodigy to pass on the technical knowledge that came so naturally, so precociously, so inexplicably to him. The lessons of his labor of love are, inevitably, in his music. The keepers of his flame are the lovers of beautiful music, la belle musique. One must be forever thankful that his musical œuvres soar in digital form amidst the dreck that is churned out constantly by poseurs who possess no flame at all to pass on to future generations. The ear determines the worth of any work of musical genius. The heart assesses the truest composition of a soul that has wrought beauty into melody and harmony. The personal life of Saint-Saëns was tragic, and it becomes significant only in terms of how it affected his creative life, of how the mettle inside this musician forged art or surrendered to fatalism. It was from the depths of his despair that this French composer climbed to ever-greater heights, achingly rendering into musical notation the anguish that his heart assailed to resolve. 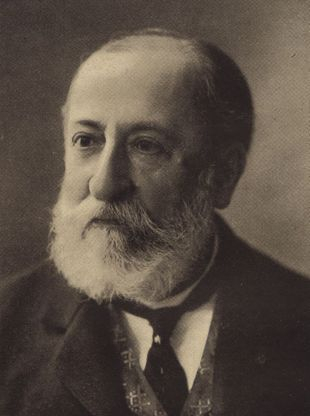 For Camille Saint-Saëns, it seemed easier to achieve resolution in aesthetic tones than in temporal time. He discovered Nabokov’s “secret of durable pigments” in Danse macabre, Samson et Dalila, and, in 1886, The Carnival of the Animals — Le carnaval des animaux. Le carnaval des animaux is a witty, playful, satirically humorous suite of 14 movements, composed for private performance. 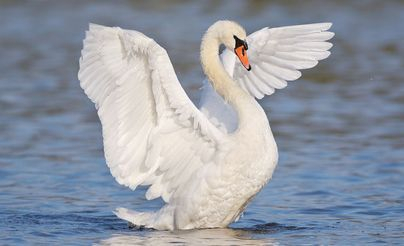 In my opinion, the only true gem among these animals is The Swan, Le cygne. The penultimate, the next to the finale, is this 13th movement: Le cygne, the Swan. This piece was originally scored for solo cello, accompanied by two pianos. The stringed instrument here takes on the symbolic and the sensory movement of this large and graceful bird. The two pianos have joined forces, musically and emotionally, with the swan as she glides across the aesthetic water. The sense of ascendancy is quietly magnificent, delicately dramatic, inexorably constant, and eternally touching: what the French call émouvant. In a word, unforgettable. For me, Le cygne is the triumphant swan, soaring spiritually in her placid movement across the blue-black waters of the pond. At last, in golden glow, she reigns supreme. The sun and the moon and the brightest of stars belong to this vision of splendour. 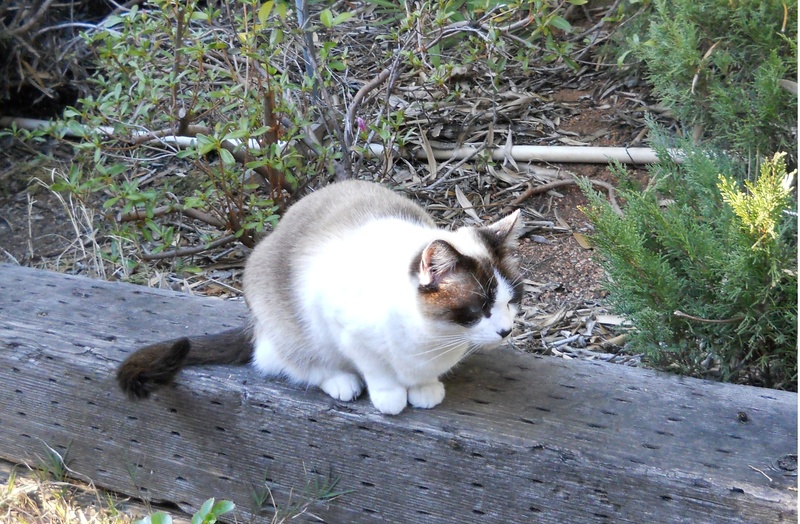 This beautifully elegant creature, who becomes violent only to protect her young, this pure white radiance of music soars in 6/4 time through a tempo known as andantino grazioso : slightly faster than andante — which is moderately slow — but in a graceful, smooth manner. For any musician to accurately pinpoint the timing of “slightly faster than moderately slow” and to do so, gracefully, is a musical coup in itself. 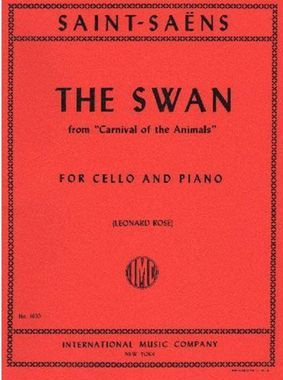 Saint-Saëns masterfully timed the movement of Le Cygne — His Swan — with such precision that the exquisite soul moves, with his direction, to her triumphant resolution, but only after the melody of the lone cello has risen above the nearly constant succession of notes, those broken chords, played on the two pianos. 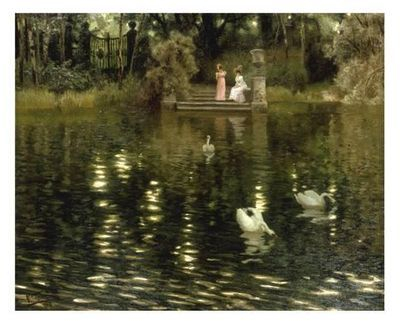 Sound and sensation merge as the listener, and the musician, wait for the Swan to move with effortless grace to achieve her moment of triumph. And when she does, there is only rest, repose, the heavenly transport that is music at its most transcendent. Legend has it that Camille Saint-Saëns would permit only this 13th movement, Le cygne, to be played in public during his lifetime. The other animals in le carnaval were deemed by this composer to be of inferior quality, frivolous, even trivial. This composer knew that the ultimate worth of this earthly procession and the apex of his art lay in the spirit of The Swan. I quite agree.